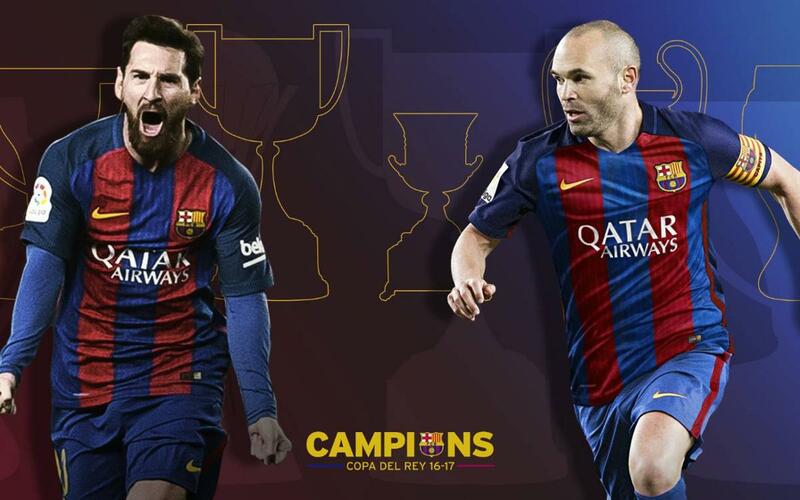 Andrés Iniesta and Leo Messi continuing setting new records, the Copa del Rey 2017 trophy being their 30th as Barça players. The figure is without doubt spectacular and one that no other players in the Club’s history have achieved. The list of honours won is exactly the same for both players: 8 league titles, 7 Spanish Super Cups, 4 Champions Leagues, 5 Copas del Rey, 3 European Super Cups and 3 Club World Cups. Andrés Iniesta and Leo Messi have been at the very heart of the most successful decade in the FC Barcelona’s history. Furthermore, with the latest Copa del Rey success against Alavés, four members of the current first team squad have now won the competition on five separate occasions with FC Barcelona. They are Gerard Piqué, Sergio Busquets, Andrés Iniesta and Lionel Messi with victories in 2009, 2012, 2015, 2016 and 2017.